As I was preparing my lecture for my trip to Georgia, I came across this image. 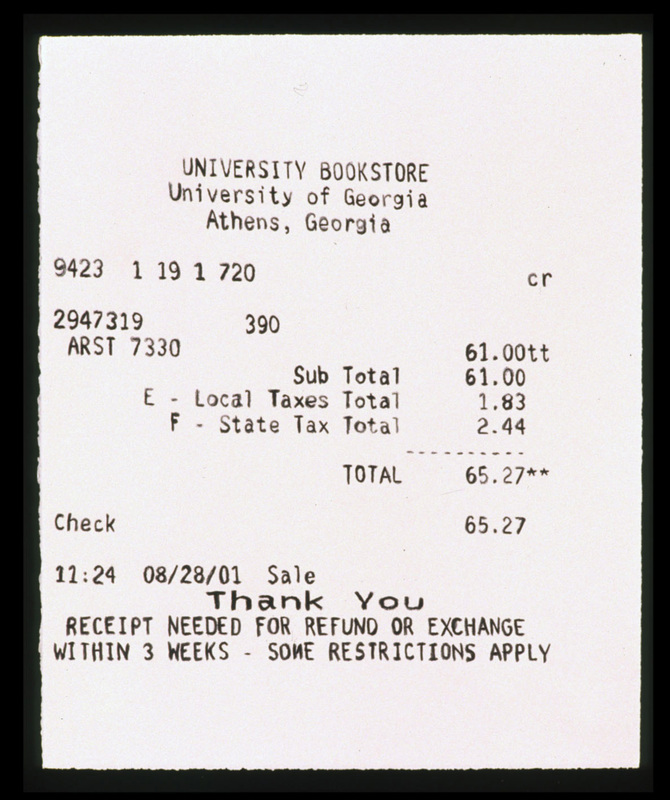 This is the first receipt drawing I ever did while I was a grad student at UGA. While I don’t know the exact date the drawing was made, I know it wasn’t too long after I received the original receipt. It is charcoal and is 20″ by 16″. At this point in time, I consider this to be a defining mark in my artistic career. Everything changed after I made this drawing. I still have EVERY receipt I collected from 2002 until today. While I think I have officially put my “handmade receipt reproductions” to rest, I am kicking around ideas on how to best incorporate this archive into the digital realm.